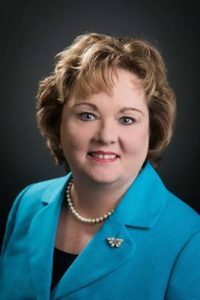 The nurse who spoke those words is in a position to know: Sally Welsh, MSN, RN, NEA-BC, is chief executive officer of Hospice and Palliative Nurses Association, Hospice and Palliative Credentialing Center, and Hospice and Palliative Nurses Foundation. On May 12, her organizations and 25 other professional nursing organizations whose work touches on palliative care will meet to set the course for a collaboration to transform the care and culture of serious illness. Welsh cites two reports from the Institute of Medicine in framing how she sees the conference: Dying in America—Improving Quality and Honoring Individual Preferences Near the End of Life, which sought various changes in palliative care, from 2014; and The Future of Nursing: Leading Change, Advancing Health, from 2010. That 2010 report not only launched the Future of Nursing: Campaign for Action but saw nurses as leaders in improving America’s health care. That’s why Welsh envisions this conference in Washington, D.C., as a prime opportunity for nurses to lead the way in reshaping hospice and palliative care. “The Future of Population Health: Nurses Leading Change and Transforming Care” will focus on three areas of practice: communication skills, especially related to advance care planning and treatment decisions; coordination/transitions of care; and pain and symptom management. Palliative care is, by definition, team-based: nurses, physicians, and other specialists coordinate with each other to help those with a serious illness by treating the illness and relieving discomfort. The sheer size of the nursing community—at 3.6 million, nurses make up the largest segment by far of the health care providers—means that it is already at the forefront of caring for those with chronic serious illnesses and their families. And nurses in most specialties already incorporate basic elements of palliative care into their practice, says Welsh. This summit will take a close, hard look at the situation, she explains, assessing through workshops and talks nursing’s strengths, weaknesses, and greatest opportunities within the three focus areas. The goal of the summit is to unite nurses in a common purpose: to make sure patients and families have access to quality primary palliative care and referral to specialty palliative care, whenever and where ever they need it. The summit sets the stage for the next step, says Welsh, and that is to get to work carrying out what’s decided among those attending. The Hospice and Palliative Nurses Association is a member of the Campaign for Action’s Champion Nursing Council, which includes the country’s leading nursing organizations. Image: Sally Welsh, chief executive officer of Hospice and Palliative Nurses Association.